It is with great sadness that the family of Elizabeth B. Marino, affectionately known as Liz, of New Britain, daughter of the late Dante and Constance Marino, departed this life on Jan. 18, 2019, after fighting a courageous battle with various health issues which she faced with pride, dignity, and grace. Liz was employed as a legal secretary in various law firms; the last being the Law Firm of Karanian, Petroski and Rizzi. Liz will be forever loved and missed dearly by her family as they will cherish the fond memories they shared with her. 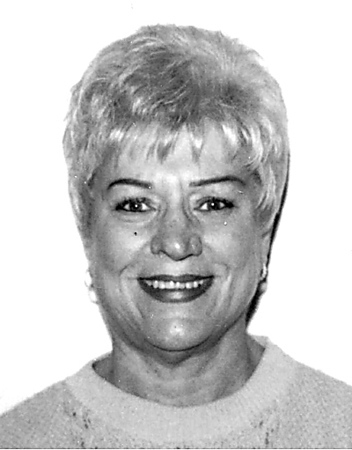 Left to mourn her passing is her sisters, Charlotte Marino-Farnham of Southington, and Dolores Bailey and husband, Jimmie of Ocala, Fla.; and her brother, Dante Marino also of Southington. Liz likewise is survived by her nieces and nephews, Robert Bailey, Daniel Marino and wife, Lauren, Susan Callegari and husband, Ernesto, Lauren Cappola and husband, George, along with several great-nieces and nephews, and relatives in Europe. In addition to her parents, Liz was predeceased by her infant sister, Lorraine, her long-time companion, Manuel Shimansky (also known as Chubby Clark) and a brother-in-law, Gailen Farnham. As Liz was an avid animal lover and came to the aid of many of them, donations in her memory may be made to an animal shelter charity or one of the donor’s choice. Relatives and friends are invited to call on Friday, Jan. 25, 2019, from 9-11 a.m. at the Duksa Family Funeral Homes at Burritt Hill, 332 Burritt St., New Britain, followed by a funeral service beginning at 11 a.m. with the Msgr. Daniel Plocharczyk presiding. She will be laid to rest beside her parents in St. Mary Cemetery. To share a message of sympathy with her family, please visit www.duksa.net . Posted in New Britain Herald, on Tuesday, 22 January 2019 19:53. Updated: Tuesday, 22 January 2019 19:56.